Growing the Hallucinogerns presents the cultivation and harvesting of the hallucinogenic and psychoactive plants described in our earlier volume, Legal Highs. Shows how to obtain seeds and live cuttings. 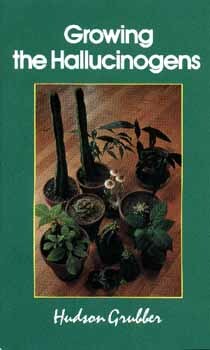 This is a valuable book for indoor or outdoor gardeners written in careful detail by an xpert horticulturalist. Finally, this hard to obtain cult classic is once again available. Revised and updated.